IN AN officially atheist country, one form of worship actively encouraged by the Chinese government has been devotion to GDP. From village chiefs to national leaders, presiding over fast economic growth has been the surest path to career success. Targets for GDP have formed the centrepiece of annual budgets, with officials convinced that failure to achieve them would lead to soaring unemployment and even chaos. Officials fiddle the numbers—massaging them up when growth is too slow and down when it is too fast—but basic faith in GDP as the most powerful expression of their aims and accomplishments has been unwavering. So the break with tradition was something akin to Vatican II, when on January 25th the Shanghai government announced its policy plans for 2015 and chose to omit a GDP target. While Yang Xiong, the mayor, pledged that the city would “maintain steady growth”, he gave no indication of what that might mean in numbers. In recent years China’s 31 provinces and mega-cities have steadily lowered their GDP targets as the economy has slowed. At least two-thirds missed their goals last year, a sign that such targets have become less important than in the past. But Shanghai is the first to dispense with a target altogether. 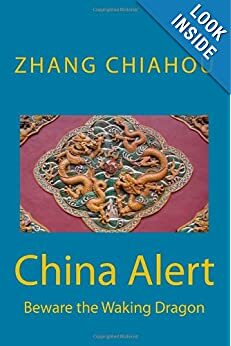 The city’s Communist Party chief, Han Zheng, is a member of the ruling Politburo, so the omission was a powerful signal. China’s leaders are still very keen on GDP. When growth slowed sharply early last year officials ramped up spending on infrastructure, a spending boost that helped the central government to come in just one-tenth of a percentage-point shy of its growth target of 7.5% last year. But leaders have been calling for more attention to economic quality rather than just quantity. They want to end an investment-heavy approach that has damaged the environment and led to a dangerous build-up of debt. Ending a fixation on GDP targets will be a great help. With no such target to cling to, or to blush at when missed, Shanghai officials now have more scope to work on other things. Transforming the city’s free-trade zone, much hyped but little used, into a real testing ground for financial reforms, as was initially intended, is a priority. 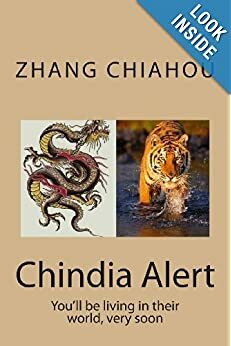 “Officials will feel less pressure to meet short-term investment objectives,” says Zhu Ning of the Shanghai Advanced Institute of Finance. Mr Yang, the mayor, says Shanghai wants to create 500,000 new jobs this year. That will only be possible if the economy remains strong. But quite what level of GDP is needed to foster such job creation is uncertain, especially as labour-intensive services come to dominate the city’s economy. So it is sensible to follow the example of other countries and focus more on employment levels than GDP. For China as a whole, it is too soon to expect an end to GDP targeting. It will remain an important policy tool for guiding and evaluating officials, especially in poorer parts of the country where faster growth is needed to narrow the gap with coastal cities. Tibet is shooting for 12% growth this year, the same target as it set, and achieved, in 2014. But Shanghai’s example proves that, even in the grand temple of China, the cult of GDP is losing adherents. 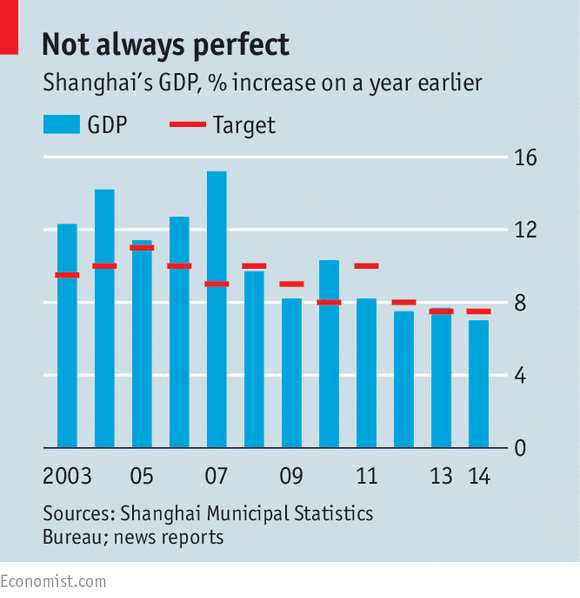 via Shanghai’s economy: GDP apostasy | The Economist.